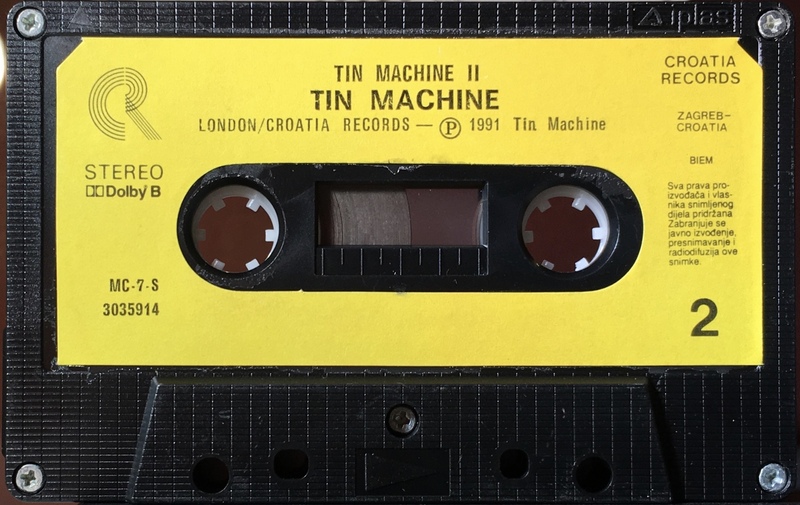 Tin Machine II: Croatia; Croatia Records, MC-7S-3035914; 1991. All photo panel concertina cover on glossy paper. Cover photo and track list over first two panels with band information next on the inner panels and lyrics reproduced on the final inside panels. Chrome tape information on the inside cover. ‘Croatia Records’, ‘London’, and ‘Victory’ logos on spine. The cover is a modified version of the EU one. Croatian on rear panel. Black ink printed on yellow label onto black shell stamped ‘ipiss’. 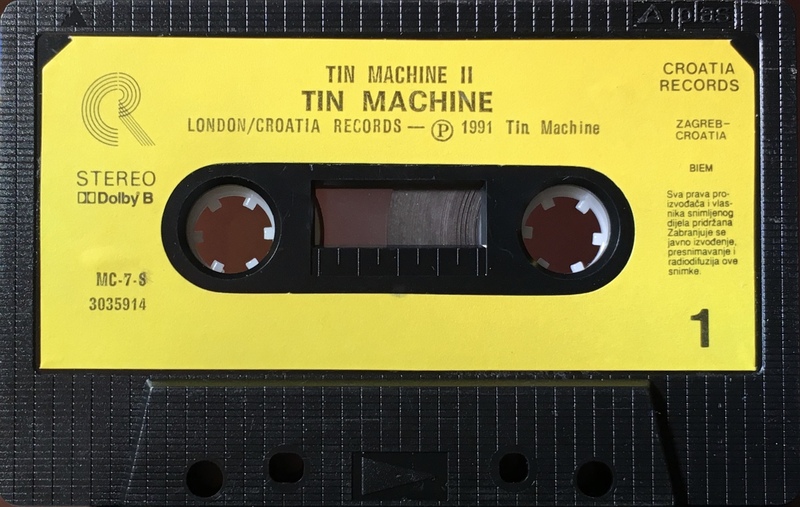 ‘London/ Croatia Records’ and ‘BIEM’ rights on label. All information in Croatian.